1. Remove skin and large bones from salmon. In a medium bowl, break up salmon and mash small bones with a fork. 2. Add relish, yogurt, mayonnaise and lemon juice. 3. Mix together until well combined. 4. Chill before serving. 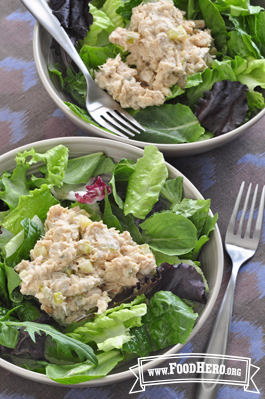 Serve on a bed of salad greens or use as a sandwich filling.